The ASEAN International Film Festival & Awards will take place this 2019. The world-class international film festival celebrates South-east Asian movies. 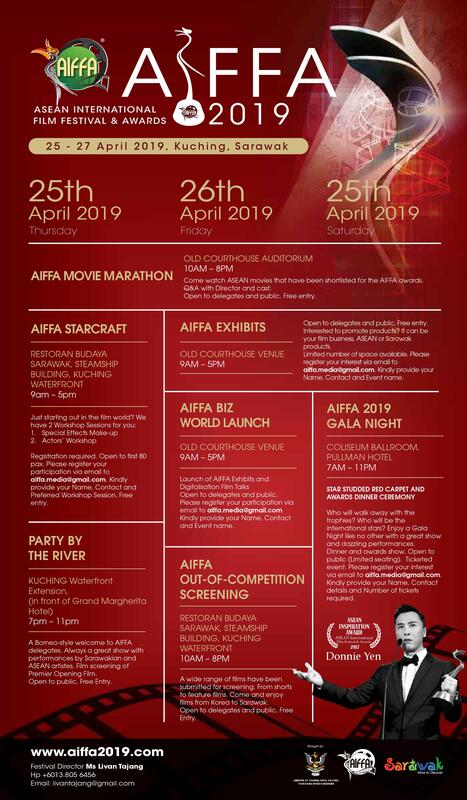 In its fourth edition, AIFFA will be held on Thursday 25th, Friday 26th and Saturday 27th April 2019 in Kuching, Sarawak, Borneo, Malaysia. From filmmakers to fans, AIFFA offers a movie magic sensation and so much more. 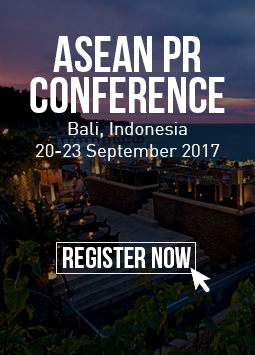 This three day, fun-packed event offers visitors the very best of ASEAN film screenings, star-gazing and a Red Carpet Gala Night. Previously celebrities from all around the world participated in AIFFA including Jackie Chan, Donnie Yen, Michelle Yeoh, Nora Aunor and many other film stars who came to enjoy the events and the city. Kuching is the perfect venue for a film festival as it is cultural and serene, picturesque and historic while its people are friendly and warm. Whether you are a local or a visitor, filmmaker or film fan or just want to soak in the atmosphere, mark your calendar for AIFFA 2019.